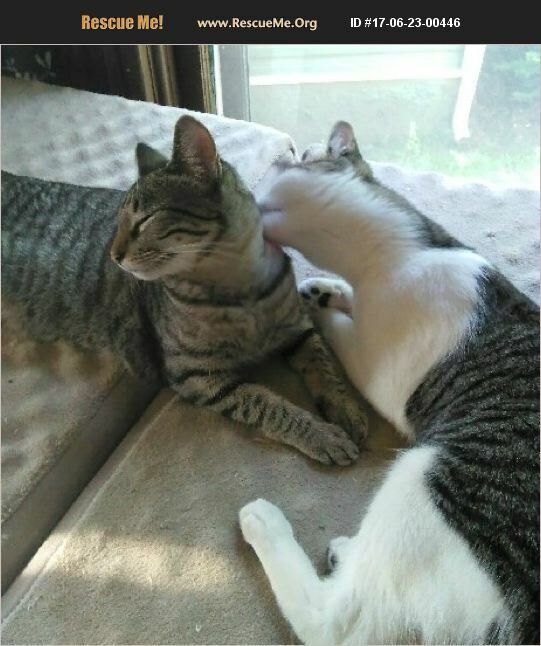 Gomez Addams(right) and Morticia Addams (left) are brother and sister who were rescued on Halloween night in 2015. They are both fixed and up to date on their vaccinations. They are a Pair, but not necessarily bonded. They live up to their names, where Gomez is a lap-kitty, kissy boy (he loves to give me kisses), and Morticia is elegantly aloof but will allow you to stroke her back (not her head), and if she knows you're getting ready for bed, will immediately claim a spot next to yours. If adopted separately, the adoption fee is $75 each.